Seeing it has been a bit of time since my summer school paper, I have started to think about why I am choosing to use certain applications in my practice. I like how Chelsea has chosen to explain how she is using certain tools in her practice and thought that I would do the same now that we are nearing the end of Term One. I am teaching most of our learners who are reading the Purple and Gold parts of the reading colour wheel, meaning that these learners are transitioning from 'learning to read' to 'reading to learn' and while we are reading, a lot of the focus moves into elements of comprehension and looking at the deeper features of the texts. 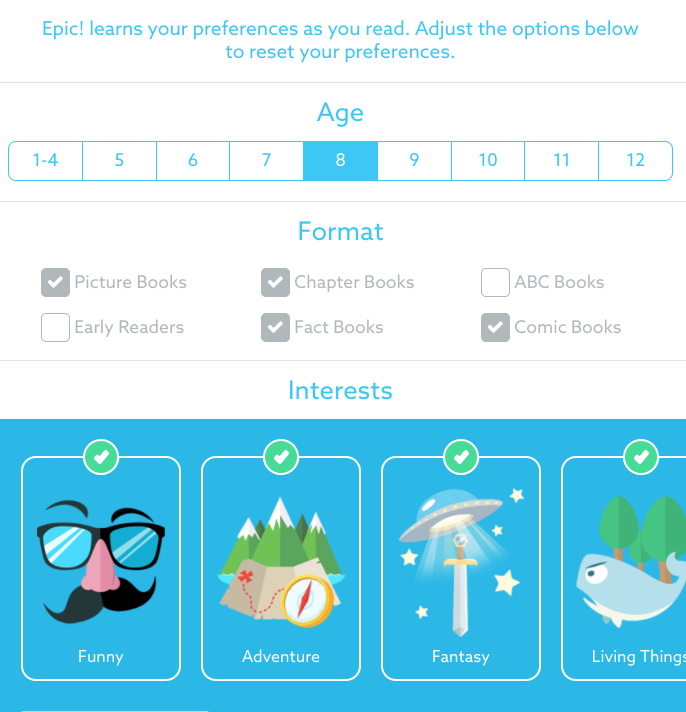 A great application that has been introduced to me is Get Epic - basically an online library for learners to read both age appropriate and self-selected text. Getting the learners to set up their profiles was a great activity to help me to get insights into what types of text they felt comfortable reading and where we can work together on other texts that they may find challenging. 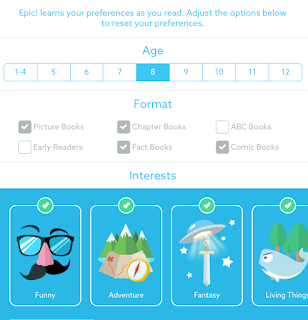 Epic also helps me see what types of text that learners are selecting and how much time they are spending on each text. The site does alert learners if they are reading texts too quickly by judging the number of page flips. I have set up access for all of my learners at home so they can use this resource as an add on to books at home or readers and books they are bringing home from school. There are a range of collections which I can assign learners as well as the different formats, including videos, audio books and books in other languages (Spanish and Mandarin at this stage). Applications for this in my practice - I have currently set this as an independent activity during our reading sessions but as I explore it more, I will use this as another resource for learners to start to compare texts. My learners for numeracy are currently operating at Stage 4 of the NZC and with the summer break, we have spent most of this term consolidating our knowledge and strategies before we move onto Early Stage 5. With a lot of the assessment for numeracy, we have to look at our speed of retention of basic facts and I have been using Kahoot! as an activity to boost speed and help develop our basic fact knowledge. Something that I struggled with last year was that the kids were quick to try and guess the one correct answer with the original model. With Jumble, they need to think about using all the options and in the few times I have used it so far, I have noticed that they are reading the questions and trying to get the correct order. We have had a couple of 'practice' runs to build our knowledge of the application and the excitement is still there - I get asked on a daily basis if we are using Kahoot when we move into numeracy. I enjoy both these applications as they help me gain more insight into how learners are progressing when they are working independently. Both promote critical thinking skills and allow us to discuss our learning as we use these. I am currently investigating other applications to help support my practice and allow learners to learn at a pace that is comfortable for them so will look to update you in a future post.